Gorgeous card Sylvie, I love the sweet image and pretty papers. 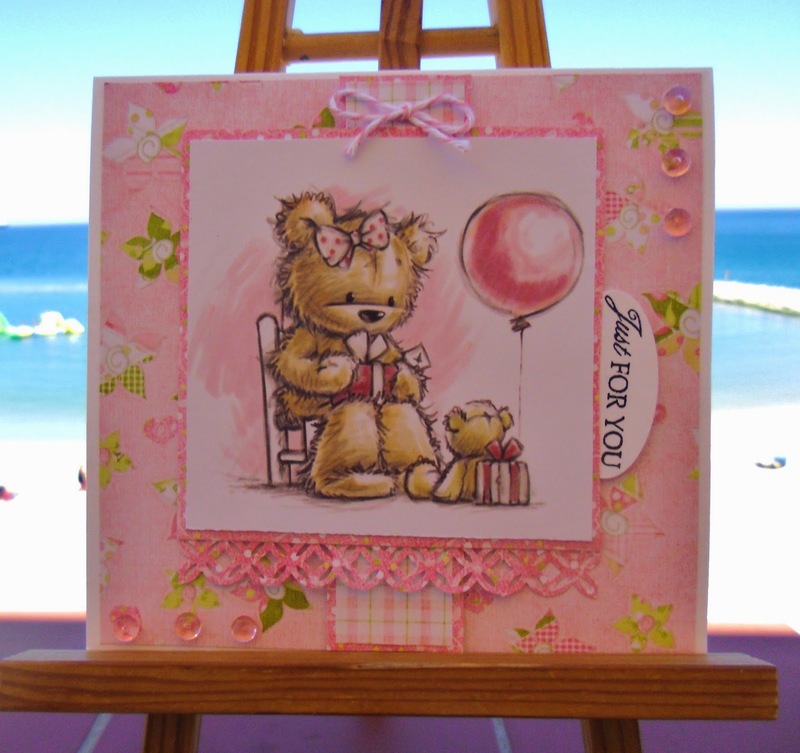 Two gorgeous cards Sylvie. Isn't it strange how you only pick up on something when you look at a photo of it? Have a great time with your granddaughter. Gorgeous card my sweetie I especially love the cute image & colour. Thank you sooooooooo much for sponsoring me in RFL, I really do appreciate more than you can know. So from the very bottom of my heart hun I thank you & send you a mahoosive hug mmwah. Lovely card, so romantic. Thanks for joining ut at Friday sketch and good luck. Oh Sylvie, that's so sweet, sweet, sweet! This is so adorable! Love your design and pretty colours.